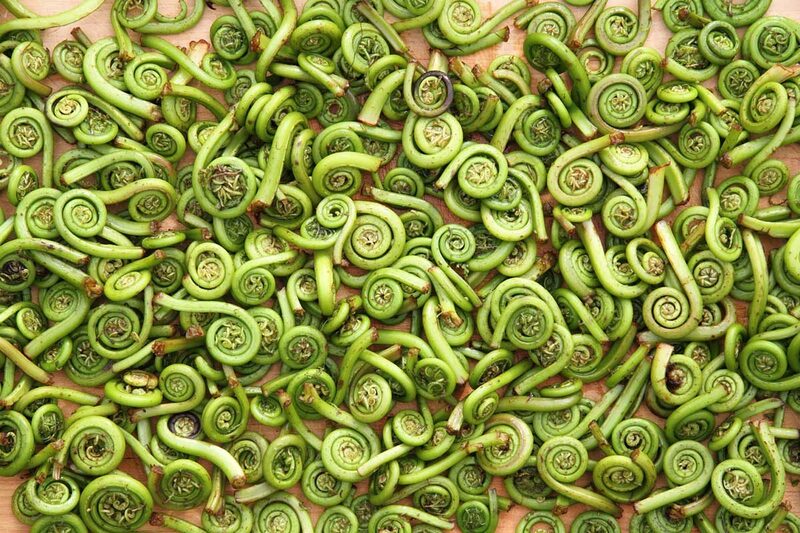 Blanching fiddlehead ferns allows them to be frozen better or used in quick-cooking preparations (en papiotte, sautéed, etc) where they wouldn’t otherwise have enough time to cook. Trim the brown parts off the cut ends. Discard any fiddleheads where the inside of the coil is very dark/black. 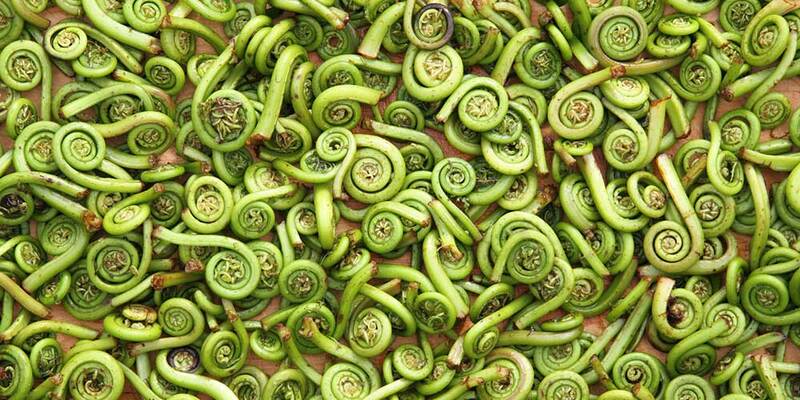 Note: Any slightly-purplish fiddlehead stems are fine for consumption. Rinse the fiddleheads under cool water. Blanch in boiling water for one minute, then immediately drain and shock in an ice-water bath to set the color and stop the cooking process.